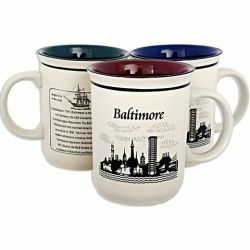 This mug is a great way to learn to History of Baltimore. It comes with assorted glaze color on the inside of the mug. Please let us select one for you.